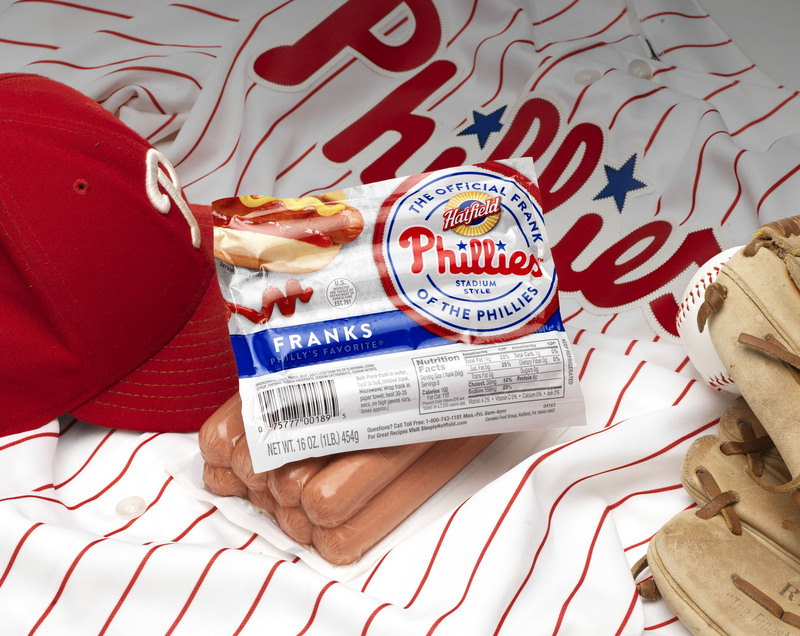 What’s better than a hot dog at the ball park? Hot dogs at home! 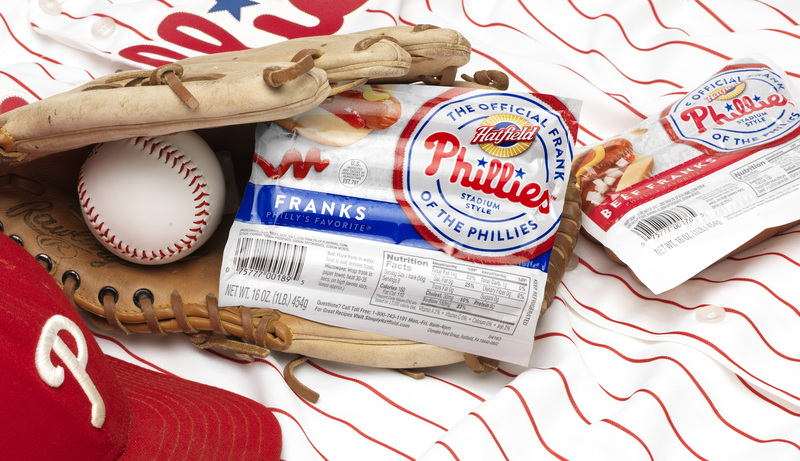 That was the main idea behind the new look and feel for our re-design of Hatfield’s Phillies hot dog packaging. Clemens tasked us with “refreshing” this packaging by reimagining the overall design and photography, as well as the variety segmentation. In the beginning of the process, we explored many concepts around bringing baseball “home.” This included grills, stadium images, grass, language (such as “stadium-style”), and more. 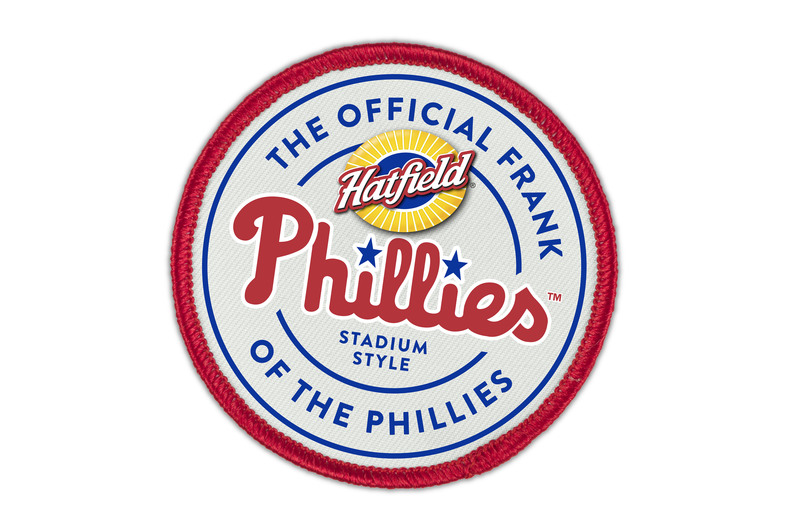 The team then told us that we had the opportunity to use “The Official Frank of the Phillies,” so we experimented with ways to play this up throughout our design exploration. We combined all of the important info into one holding shape, which just so happened to aptly resemble a patch. 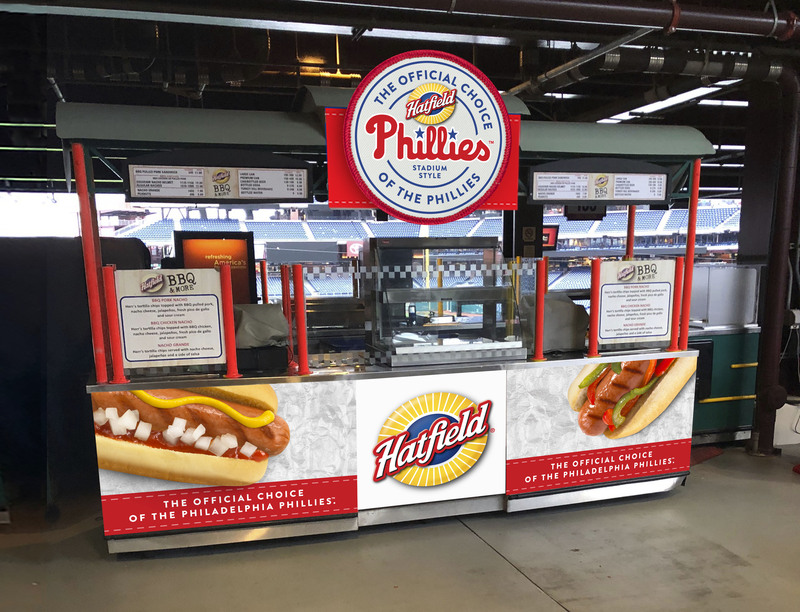 In our design process, we thought about the various ways that this patch could be extended — for instance, it could be incorporated on the hot dog carts inside the stadium. In terms of photography and appetite appeal, we wanted to keep the shots simple, while still creating an in-stadium atmosphere. To communicate this, we used aluminum foil (just like how you would unwrap in your seat), as well as mustard and ketchup packets and other iconic baseball elements. We also used various toppings to help differentiate varieties, which added to the overall appetite appeal.